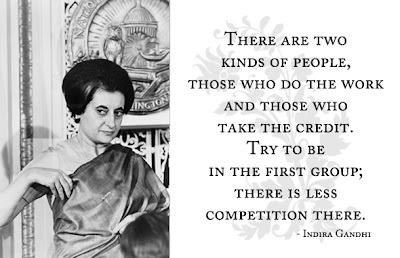 Indira Gandhi (November 19, 1917 - October 31, 1984) was the 3rd Prime Minister and 1st Woman Prime Minister of Republic India. She was popularly known as Iron Lady among the political class. Here I have compiled down some of the famous Indira Gandhi quotes. 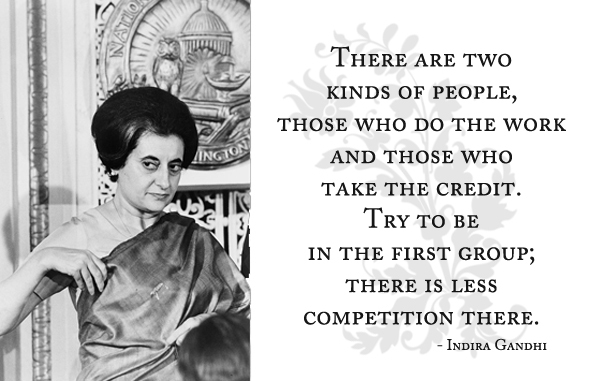 Just hope you will like the quote compilation and able to find your Indira Gandhi quotes to share with your friends.